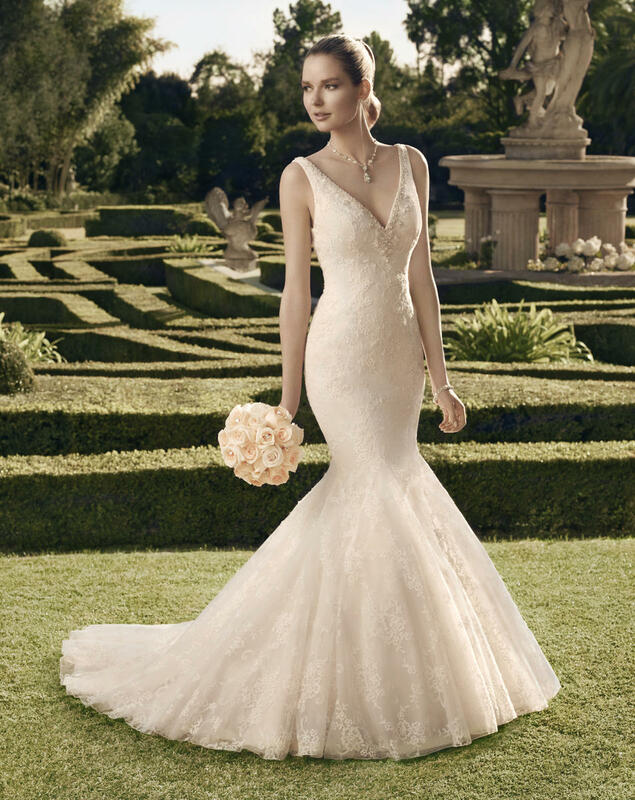 Lace gown with tank straps feature a beaded geometric pattern along the "V" front and back necklines. Beaded and embroidered lace appliqu�s on tulle over Printed Shimmer Tulle with Perfecting Satin lining. Godets on the front and back skirt create the volume of the mermaid silhouette, and a baby marrow hem delicately finishes the hemline. Crystal buttons are along the zipper.